Happy June! We kicked off the first month of summer with our last big trip in Asia -- a weekend in the amazing city of Hong Kong. As my mother's birthplace, this city especially hit home along with its strongly Western characteristics. Despite the intense humidity and overbearing crowds of people, Hong Kong has a certain character that is unmatched by any city I have visited before. 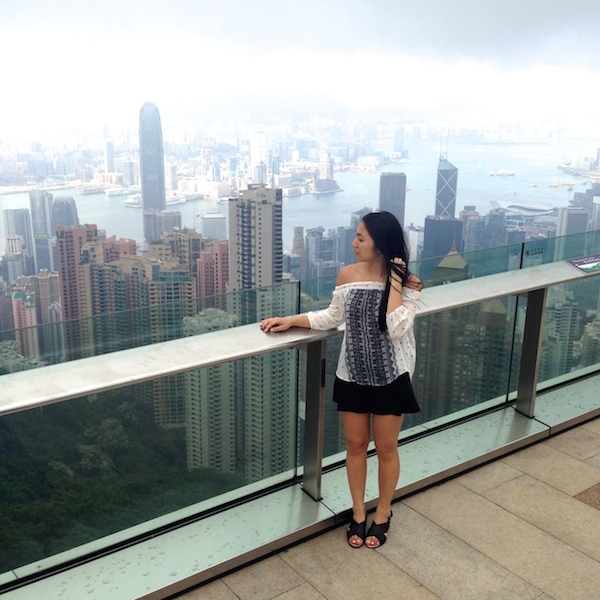 The highlight of our first day in Hong Kong was a trip up to Victoria Peak, a must-see when visiting the city. The views of the skyline are incomparable from 428 meters above sea level. 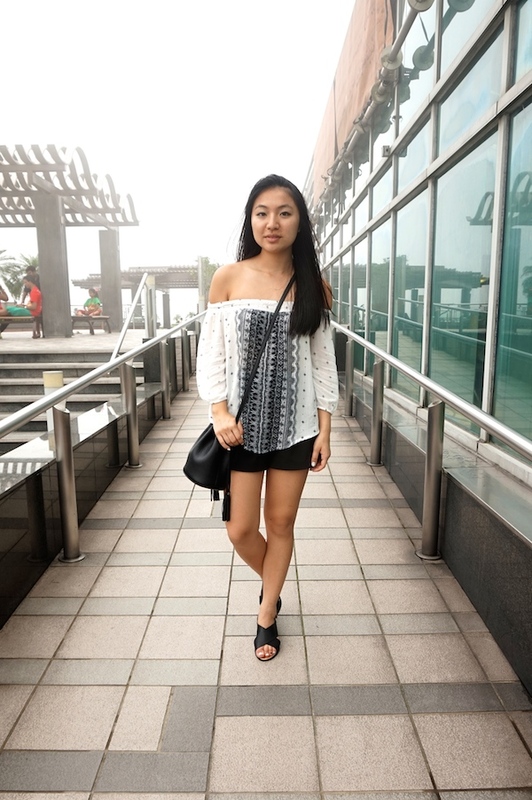 To combat the city's impossibly hot weather, I wore a breezy off-shoulder top with a light pair of shorts. Who's with me when I say that shoulders are the new midriff? I have been so drawn to this silhouette lately, so be prepared to see more of it in future summer style posts. Until then, I'll be back soon with another travel diary from Hong Kong! The photos are gorgeous, and the last one is breathtaking! Shoulders are definitely making their way around contemporary style and you pull it off so well! Amazing post my dear <3 ! Definitely agree! Off the shoulder shirts are coming back and I love it! It looks so awesome here Christina! Definitely on my bucket list to go visit. Great look. Love the top! Thank you! It's one of my new favorites! Great photos! Love your top! That last photo is so epic! Love your cute little bucket bag! rocking that top!!! you look incredible!!! that view is mesmerizing.. and i can just imagine how good dim sum is from hongkong! What an amazing view! Love it! That view is amazing, and you look even more amazing! I'm so envious of your trip! I hope you're having a lot of fun! Thanks Diane! It was so much fun! I love the photos and your blouse is beautifuul! Wow, what a view! Also I love your off the shoulder top...very pretty! Wow beautiful view <3 The last photo is stunning!! You look so stunning girl, love your style and the way you match the clothes. Keep it up! Thank you so much!! I'll follow back for sure!